Hammer 1375 (Year of the Risen Elfkin) After retrieving the crown of the King of Clan Melairkyn from the depths of Undermountain, Kiira started to recruit a few dozen followers to her banner. 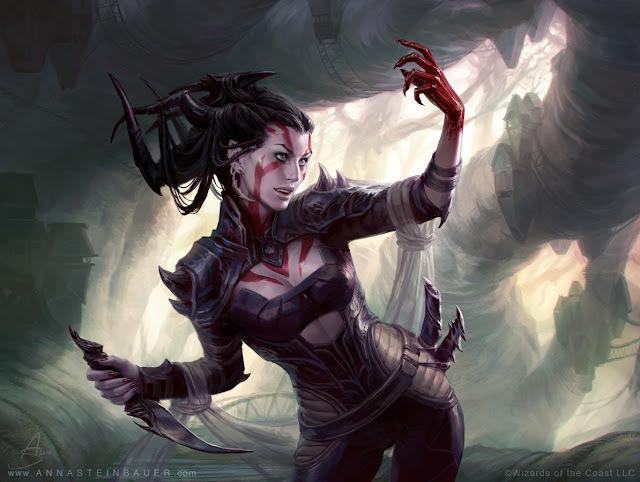 Joined by her new friends Gyudd, Keeley, Baldrik Schwartzenberg and Waldorf "Warp" Warpath, Kiira worked as a mercenary leader and bought/rented a temporary headquarters north of Waterdeep. Ches 1375 Rokh, Keli and Seth wrested control of the section of Undermountain called Vanrakdoom from the hands of Vanrak Moonstar and his new ally, Naneatha Suaril (in death knight form). After a quick cleanup of the dungeon, they contacted Kiira to offer it to her as a new, more permanent HQ for her company. Kiira accepted, but since Vanrakdoom had no convenient access, the group decided to build portals to link it to both Saharelgard (for access to the surface, away from the city) and Clan Melairkyn's "Lost Level" of Undermountain (Kiira's new clan). The reunited AD&D sought the counsel of Bandaerl, High Priest of Dumathoin and guardian of the Lost Level, regarding the crown and construction of the portals. 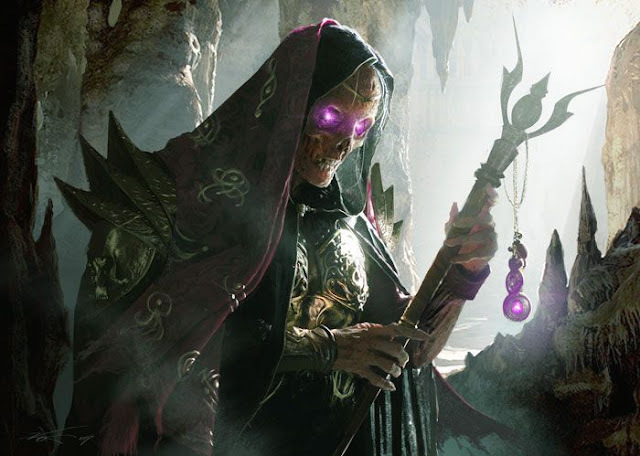 Bandaerl confirmed that Gyudd was indeed heir to the crown, and both High Priest and newly-crowned King agreed to shoulder the cost of constructing the two-way portal to Vanrakdoom. King Gyudd married Keeley and made her his queen. Baldrik was now the clan's head of the underground military, Warp the chief scout, and Kiira the leader of the surface army. These events would mark the resurgence of Clan Melairkyn. Eleasias 1375 After four months, the construction of the portals that link the Lost Level and Vanrakdoom (we really should think of a new name for this place) were completed through Rokh's efforts. Fifty of Kiira's new followers were magically ferried and stationed in her new HQ. The temple of Moradin was restored and, upon Kendor's suggestion, a "grudge stone" had been erected here to remind the dwarves of the sacrilege committed by the followers of Shar upon their chief deity. Note Construction at Saharelgard had been largely completed but since there were no magical protections active yet (i.e., a weirdstone had not been found), it remained unoccupied except for the ghost of Lady Saharel who resides within her tower and the occasional traveling merchants who seek refuge within the outer walls. Likewise, the plan to link it to _________-doom is currently on hold. 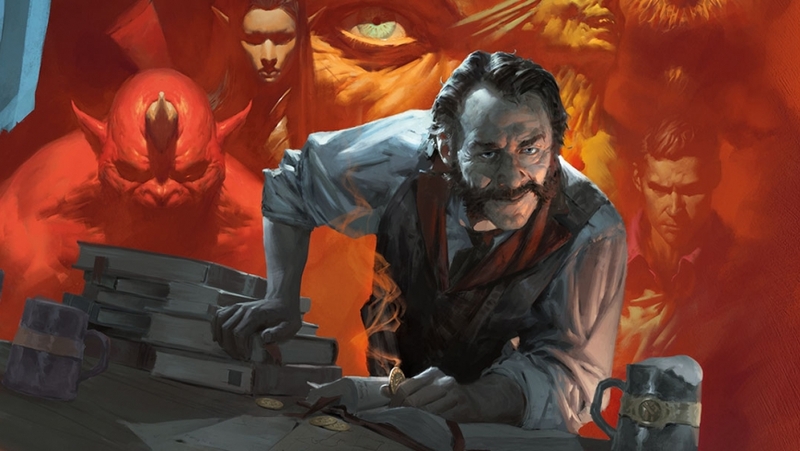 30th of Eleint 1375 A strong earthquake rocked Waterdeep and arcane casters received visions of a dying Halaster at the same time, which, if accurate, could mean that the Mad Mage's spells might no longer be able to contain the horrors within Undermountain. The party headed back to the Lost Level to make sure that its protections were still in place. Upon Bandaerl's advice, the party decided to secure the pyramid portal on the second level and its surrounding environs, after which they would venture down to the depths of the dungeon complex to raid Halaster's resources (to keep it from falling into the wrong hands, of course). Upon crossing the second level portal (in the area they dubbed "the Pyramid Room"), the party met another adventuring party that had been trapped by a trio of large scorpion-like constructs called scaladars. Keli disintegrated the machines while they were busy attacking Kiira and Rokh. According to Rokh's nerdy cohort, Anee, scaladars are the creation of Trobriand the Metal Mage, one of Halaster's many apprentices who reside in Undermountain, and that we should expect him or any of his henchmen to be nearby. Note I, Seth, would like to point out that although Halaster's apprentices are evil-aligned, they are not necessarily our enemies, given the recent events. If we ever do meet them, I would like to parlay first since we need access to Halaster's spells that protect Undermountain. Failing that, you guys go ahead and attack but I got dibs on their spellbooks and any other wizard items.